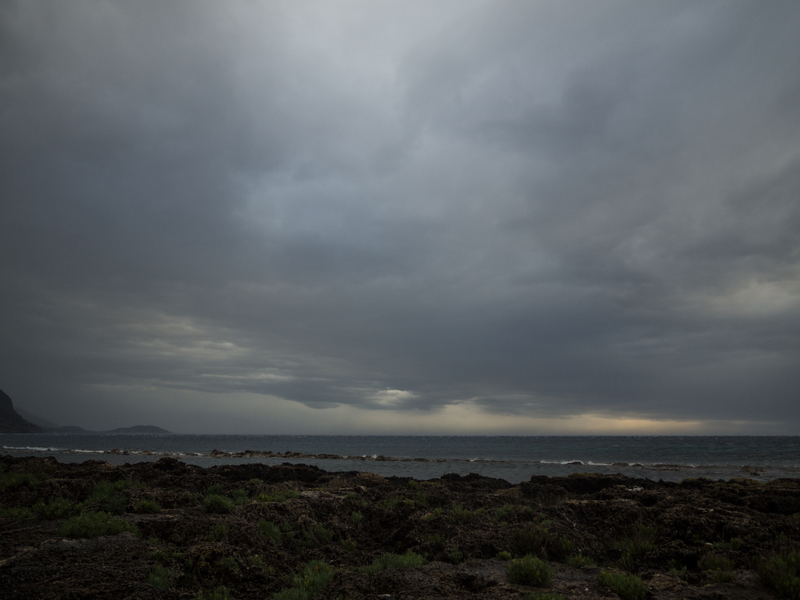 The storm arrived from the north; the evening before was uncommonly humid and the cloud crept heavy over the hills. In the night, the wind got up and the rain threw itself down. 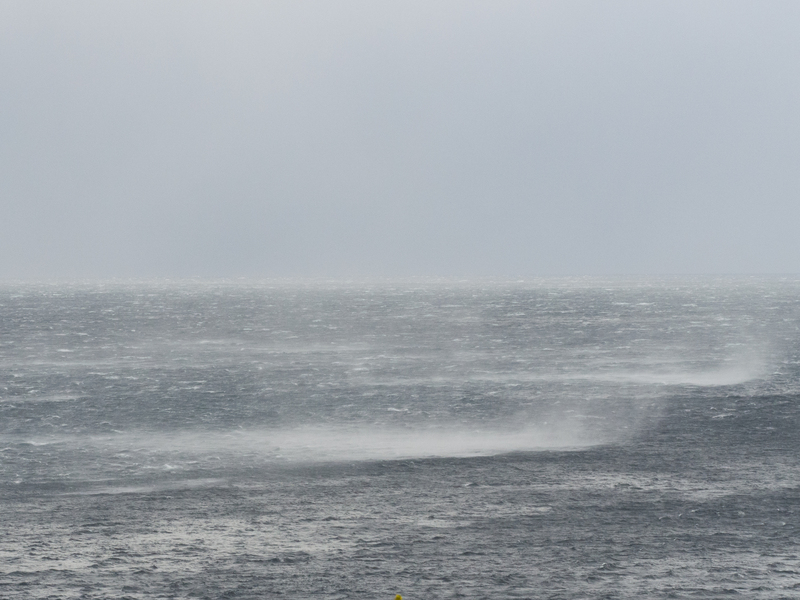 The next day was equally ferocious with periods of drowning rain and the wind coming through in great gusts; it refused to let up. 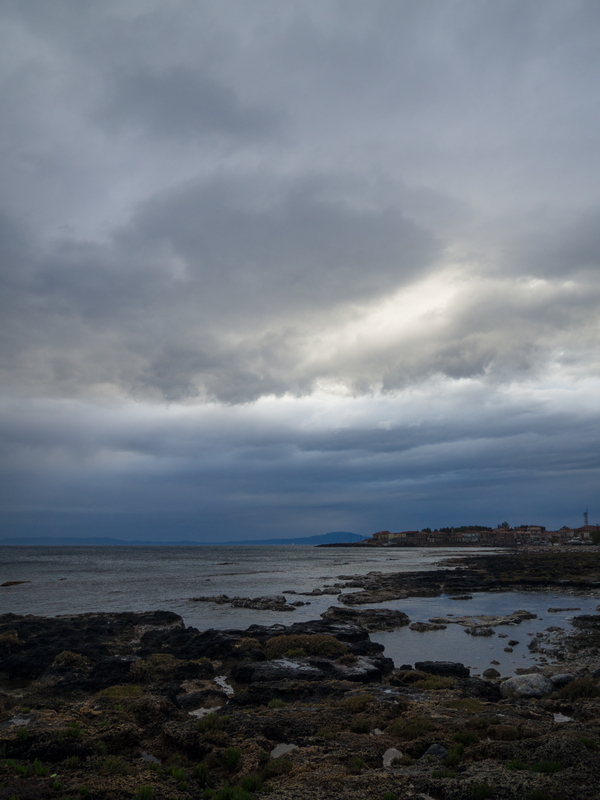 There was was more of the same through the night and into the morning but by midday things had eased a little; the cloud lifted but the wind blew hard and squalls of showers rushed through. 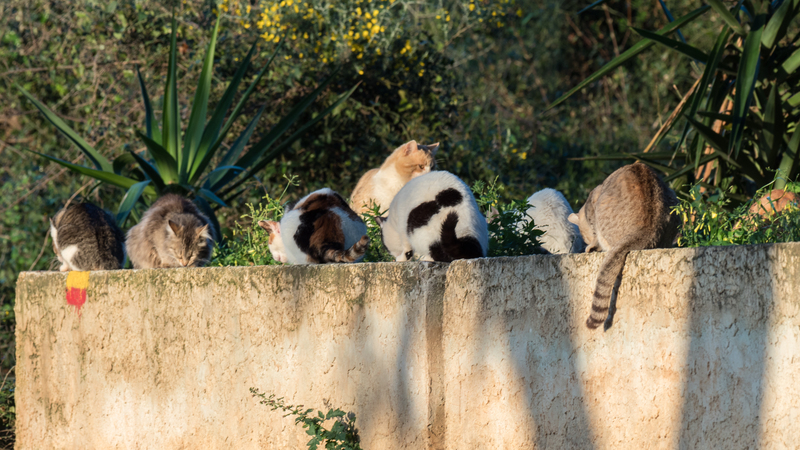 The small birds flew through the olive groves, which were being thrown around liked tossed hair. The sea was chopped with small white waves; gusts of wind lifted rolls of seaspray across the steel grey water; it reminded me of the Bora, the cold, winter winds that rush down the mountains to the sea in the Adriatic. 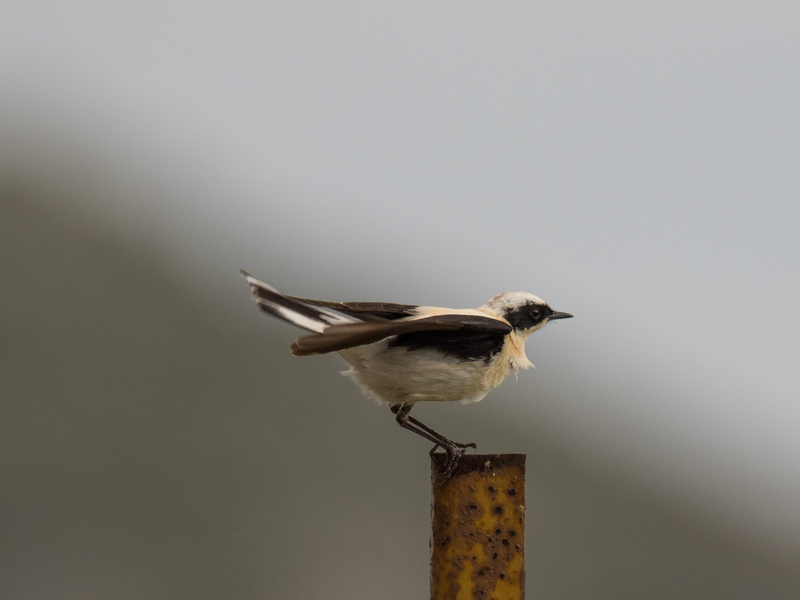 On the coast road to Trachelo, in the lee of the great cliffs, there were a handful of black-eared wheatears; the first of the year and probably the lucky ones. There were more further on and the road seemed the best and safest place to forage. 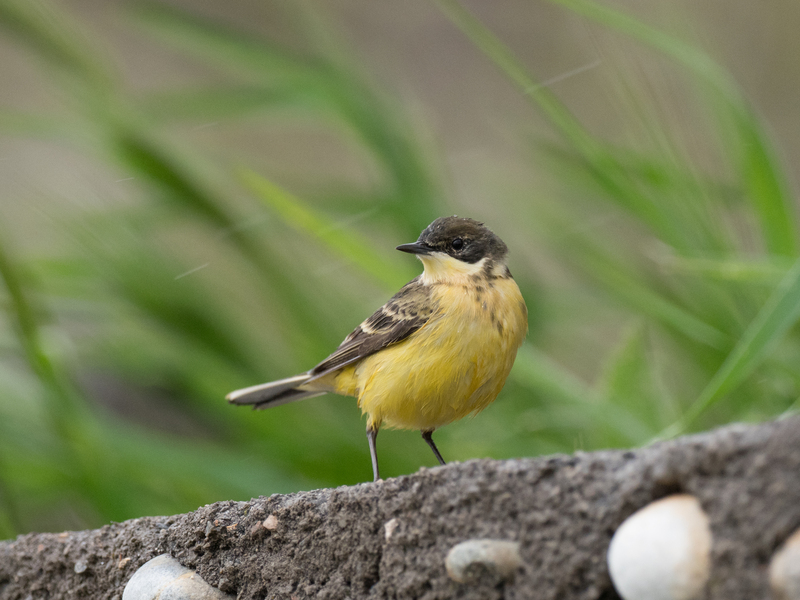 Birds struggled to stay secure on fence posts having been disturbed by passing cars. Some had blue grey heads and I think were the western race and others a cream forehead, the eastern race. An indication that Greece sits near the boundary of the east and west Palaearctic realm. A couple of hoopoes were tucked under the olive groves on the path to the small church. 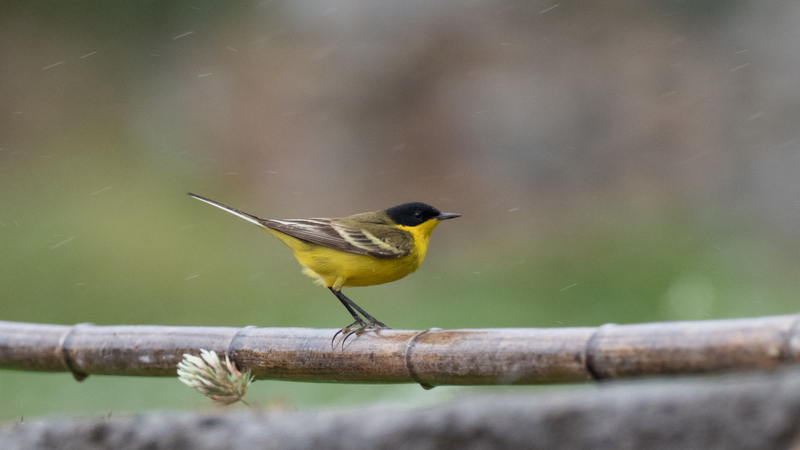 Back through Agios Dimitrios and more new arrivals; a dozen yellow wagtails of the lovely black-headed feldegg race, a sub-species of south-east Europe across to Iran, were foraging at the base of the road beneath the stone walls where they were sheltered from the wind. One unfortunate bird had engorged ticks on his head. 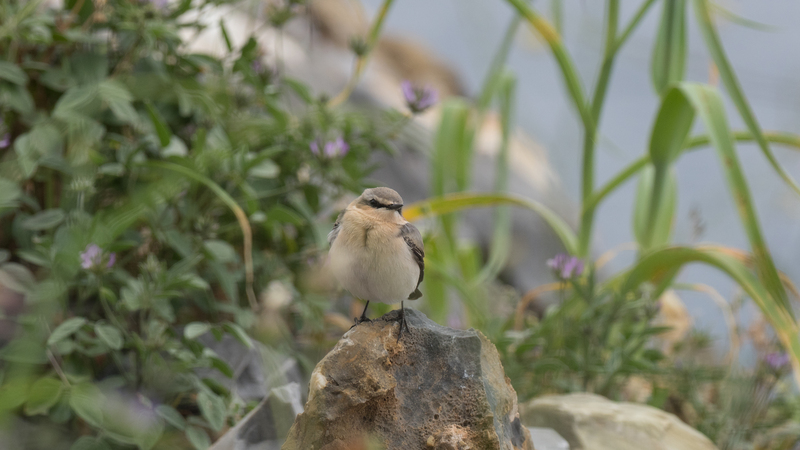 On the coast road to Agios Nicholaos, northern wheatears flashed across the narrow, upper beach, the only section of sand and pebbles; they were keeping low and foraging as best they could. 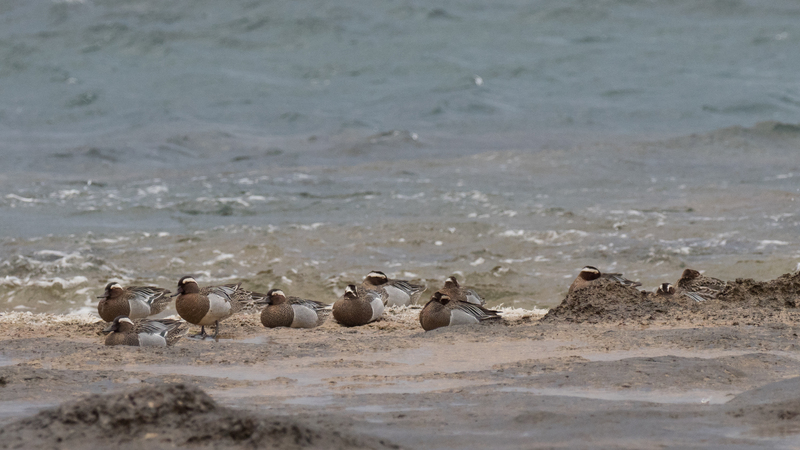 Where the sea meets the beach, there was a line of funny brown lumps that looked odd-shaped even for the tortuous limestone platform that formed much of the beach; they were a flock of 30-40 garganey, most with eyes closed snoozing but others upright and alert or preening. 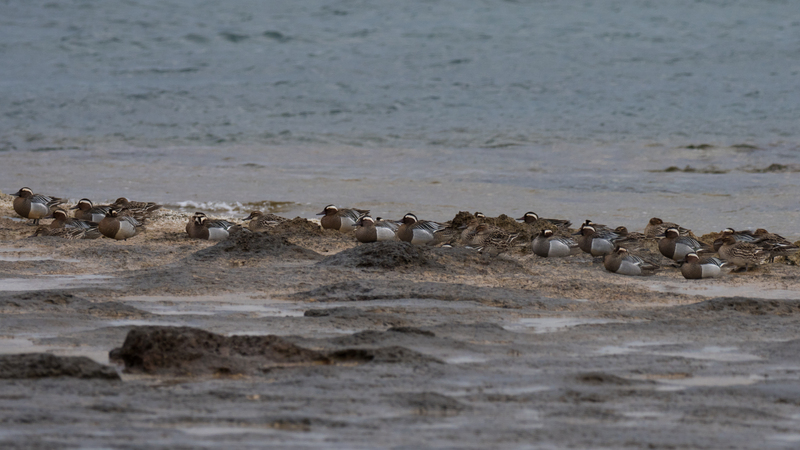 Garganey are a freshwater species but this flock found itself in a land with no freshwater; the beach edge was the safest port in the storm. 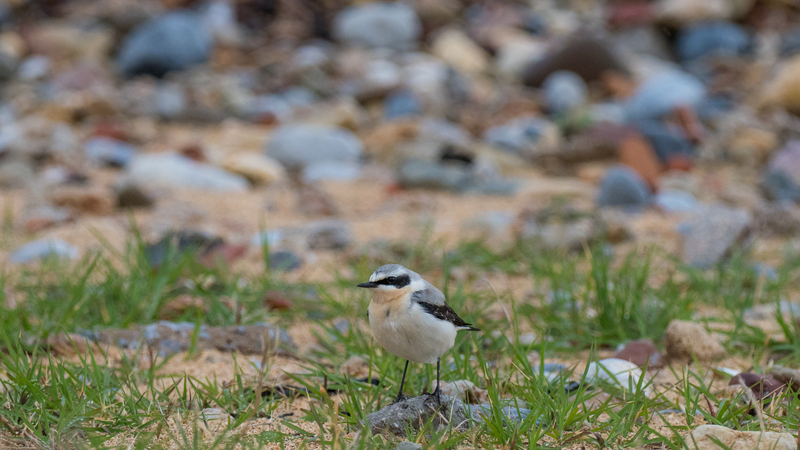 The next morning the sun shone and the sea was calm and the ducks were gone as were the wagtails and most of the wheatears. 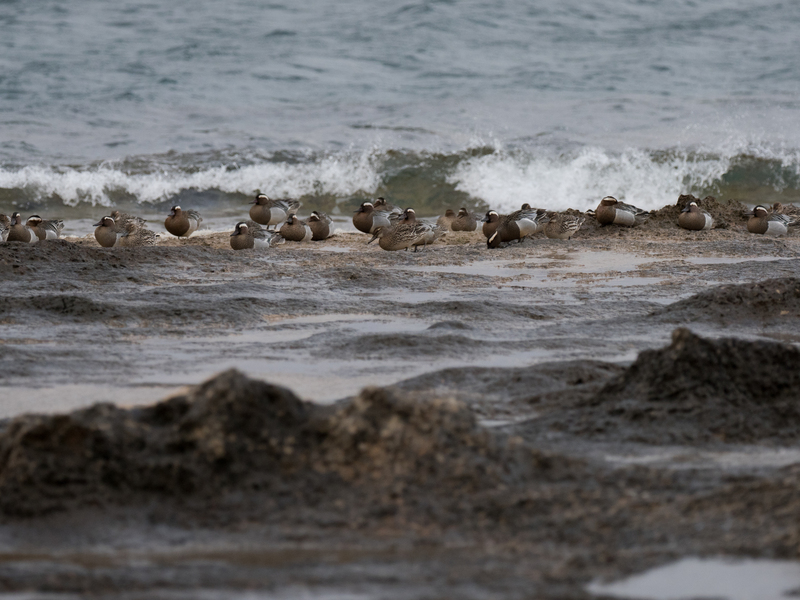 The usual pair of common sandpipers were the only residents of the limestone beach now. 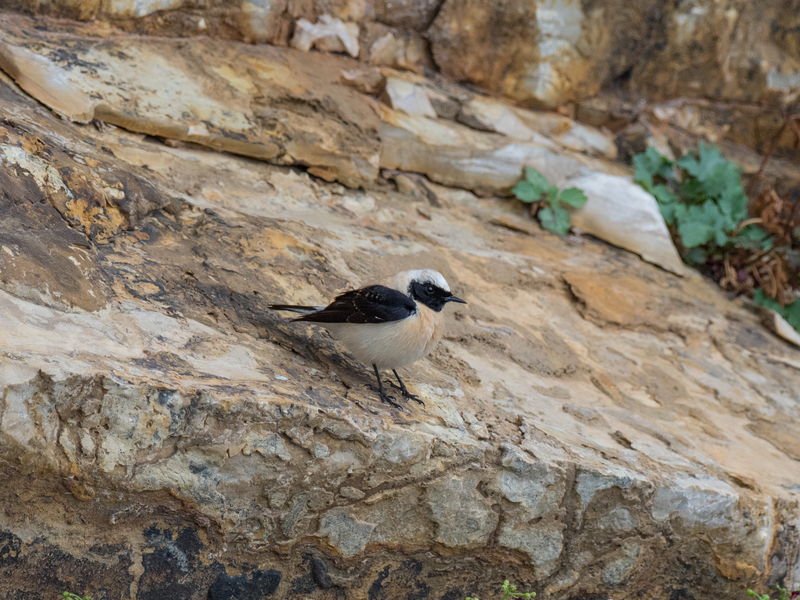 That evening, a pied flycatcher species was briefly glimpsed under the great Eucalyptus trees on the edge of Pantazi beach; here, at this hour, an old man feeds the feral cats that hang around the ugly rubbish tip hidden just up the track behind some tamarisk bushes. 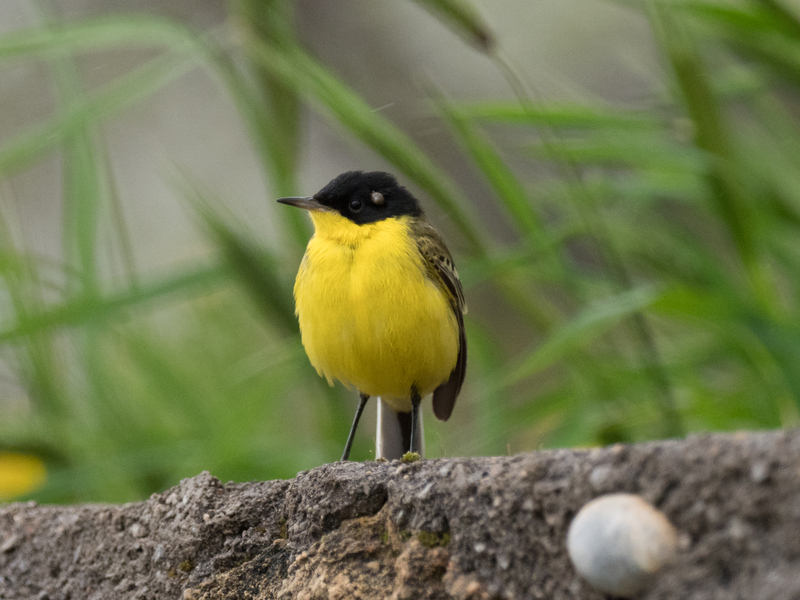 I always enjoy your blogs – very informative, and beautiful pics! 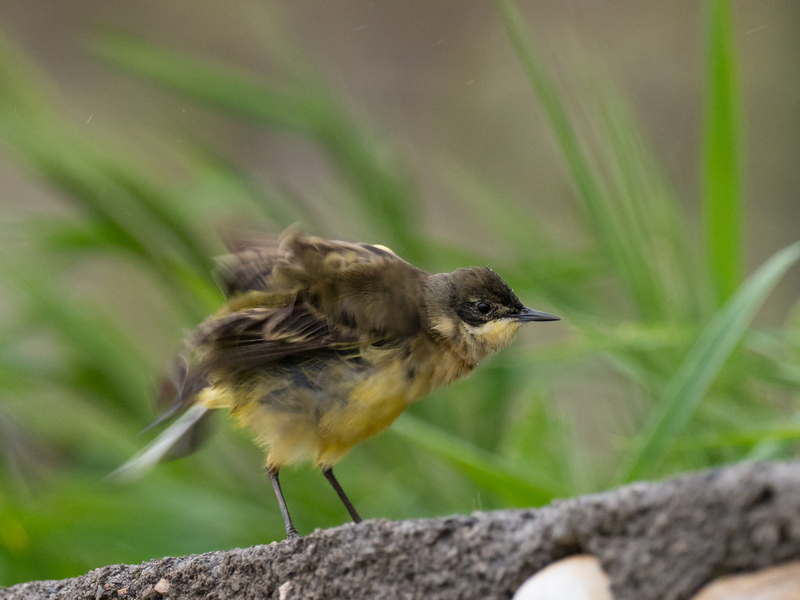 What happens with the bird with ticks? Will it be ok, and will the ticks just fall off? I didn’t know that ticks would feed off birds at all. Never seen it before. Love the birds and dramatic scenery. Thanks Sherry – it was memorable.